In Property Hive you can store all of your third party contacts that you deal with on a regular basis. These contacts might include solicitors, plumbers, board contractors and more. They can be managed and searched for in their own designated area within Property Hive. 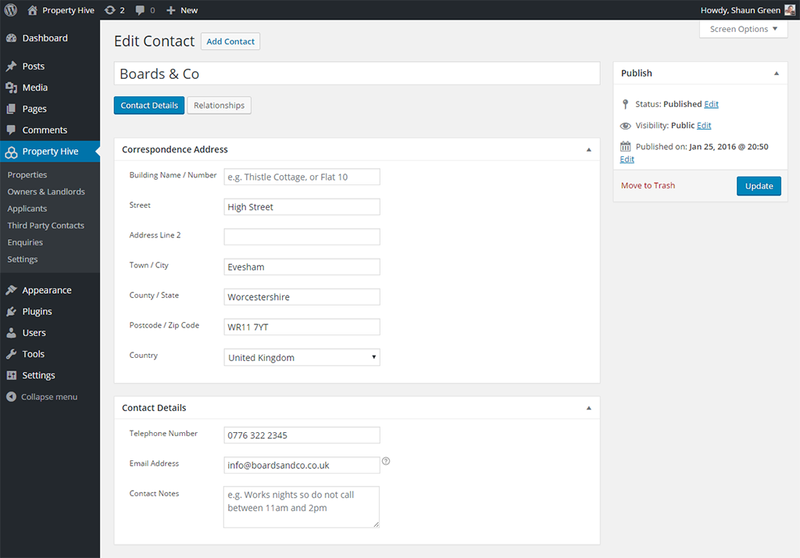 Against each contact you’ll be able to store their name, address and contact details. This feature works great in conjunction with our Property Board Management add on by allowing you to store which board contractor is responsible for which properties boards.